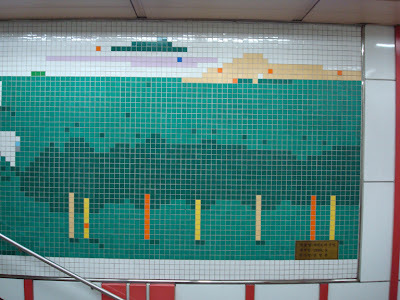 Here's some subway station pixelation for you! 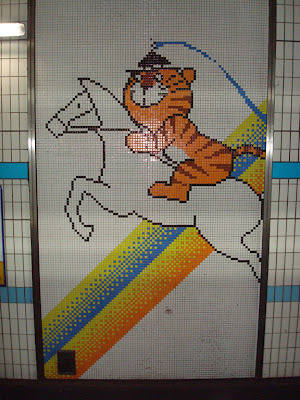 Seoul has amazing public transportation. 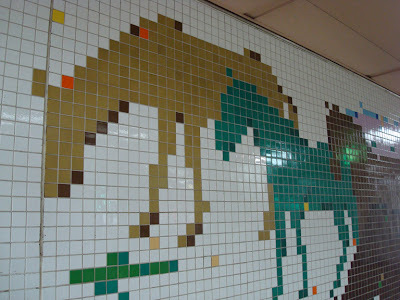 The vast subway system alone is a marvel. 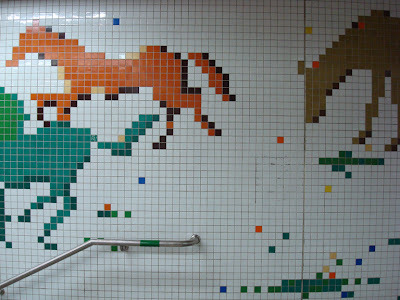 If you spend enough time in Seoul, you'll learn that each subway station is unique. 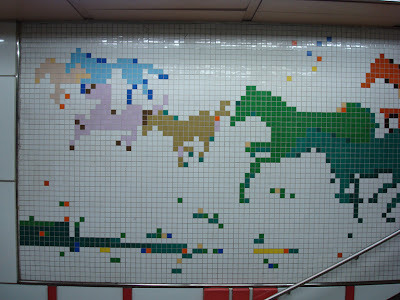 Many subway stations are enriched with art. 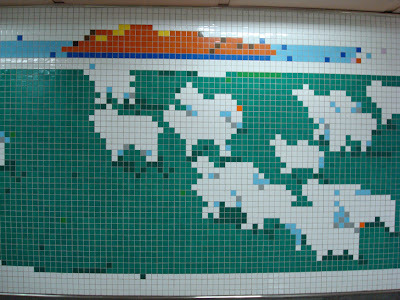 Sometimes, the ever present tiles used in Korean subways are arranged to make pixelated imagery. 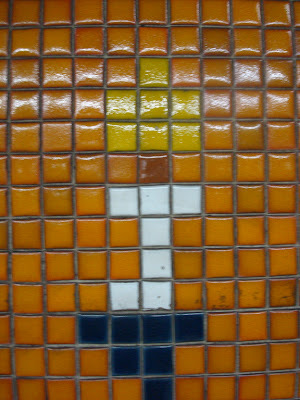 Here's a close up look at the first image. 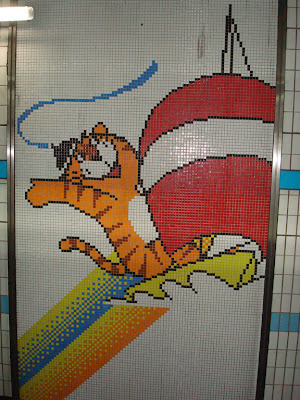 See how this cartoon tiger is made up of small colored square tiles? 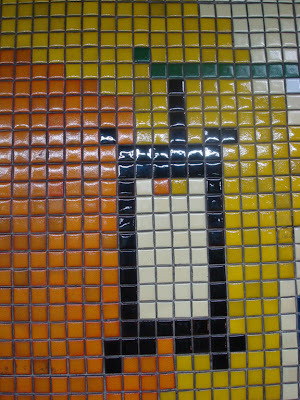 This results in a very 8-bit look, doesn't it? I think that's what makes it so appealing. 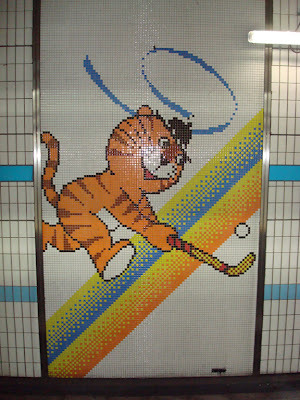 These images of Hodori, the 1988 Olympic Mascot for Seoul (I'll write more about him later), are taken from the Dongdaemun Stadium station. 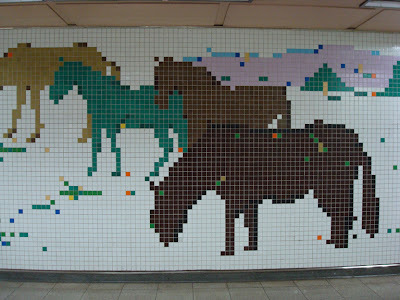 These horses and sheep create a mural that beautifully decorate a wall. 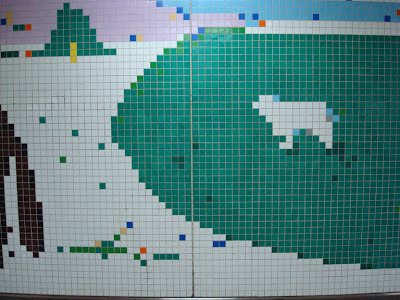 The mural is so wide that I had to break it down into slices. The very next image is the farthest slice to the left. As you scroll down, imagine you are looking from left to right at this mural. 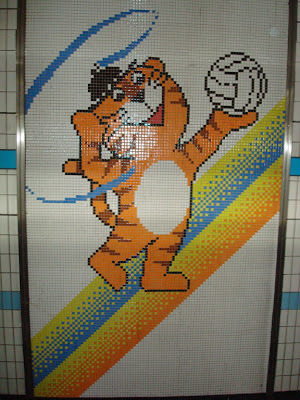 I can't seem to remember which subway station the next series of images are from. 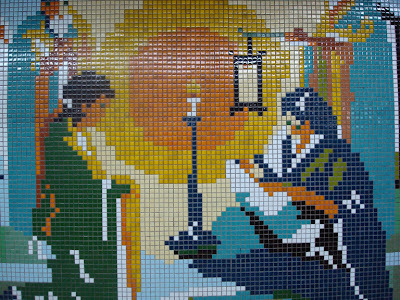 These ones show historical Korean scenes. This is a close up of the lantern in the above picture with the women. And this is a close up of the candle. 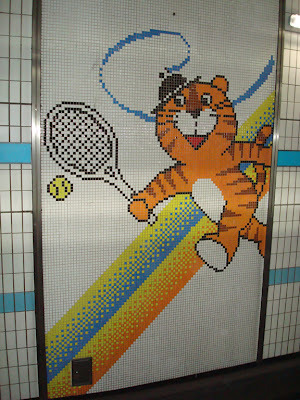 There is tons more stuff like this in Seoul subways. 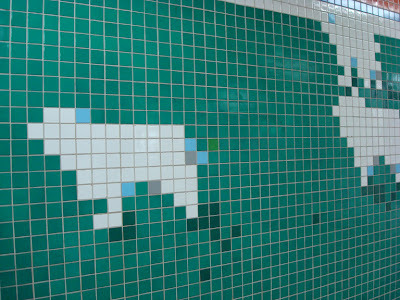 I've even seen abstract patterns using rectangular tiles. Of course, these are much better looking in person. So, if you ever get the chance, you should check these out. Heck, you've got a good eye. 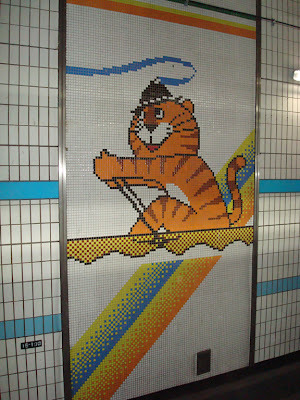 I didn't even see all the Tiger mosaics shown here and I lived there for 7 years! Ha ha, Alex! I guess when you have a blog to fill with content your eyes starting noticing this stuff more. 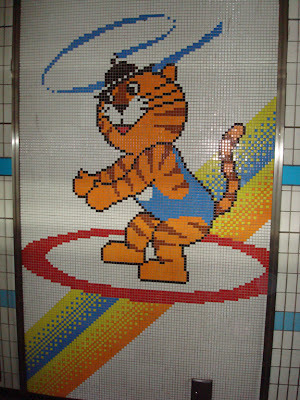 I totally remember that tiger, but I always thought it was from Japan (since I lived in Japan) and was a representative of some expo. 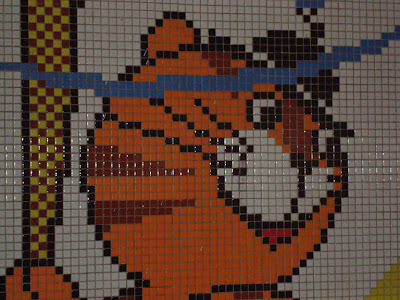 Somewhere back at home I have a doll of that tiger too, which is how I recognized that tiger from your pictures. 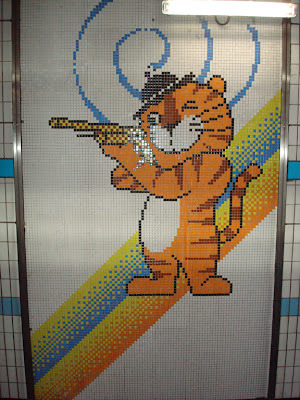 Trojan Trumpet, that's cool that your folks got you an Olympics tiger. 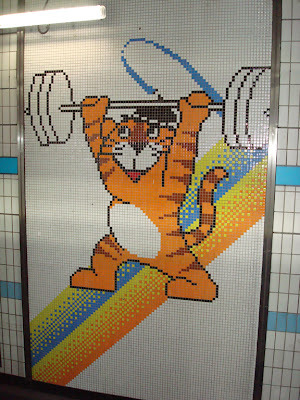 The five little mascots for the upcoming Beijing Olympics are great, but they sure can take a bite out of your wallet! 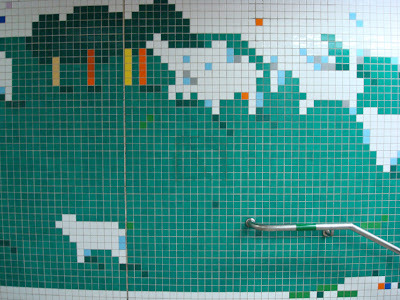 Nice photos, although a bit of a poor attempt to spruce up the subways...to me it just makes them look a little more depressing. 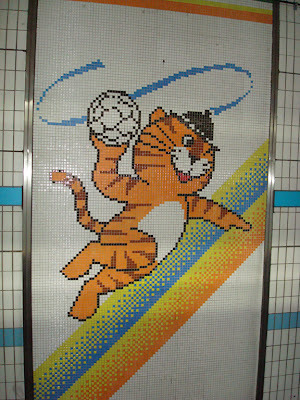 Have you seen the pictures of North Korea's subways? In true commuist 'for the people' style its practically an art gallery. 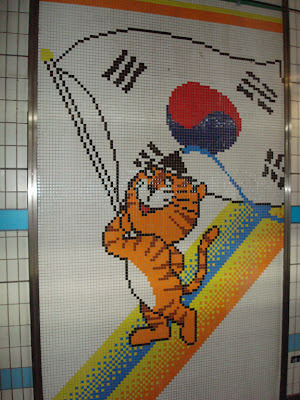 Hallyu Technology: Nope, I haven't seen North Korean subway photos. 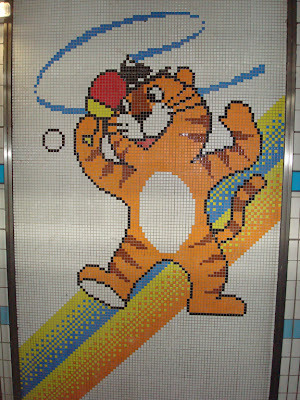 I do think the subway art of Seoul does cheer up the place, though. 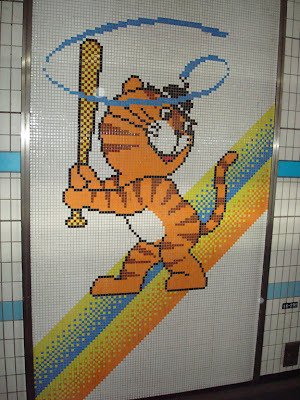 Although, a lot of subway art is being covered by these new sliding doors that are being installed everywhere. 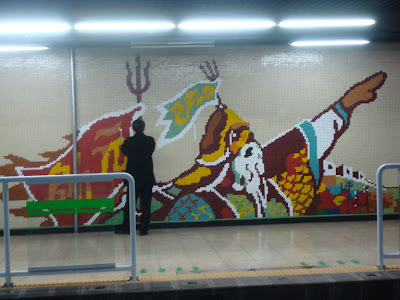 The Last pictures are from station Nak Seoung de!